The range includes two varieties, a 60W unit which outputs a current of 1.1A and a 36W unit for power power requirements with an output current of 0.6A. They output 56V as you would expect. Delta’s low profile panel mount power supply models in their PMH series boast Household Approvals so are ideal for use in applications where you need to deal with the general public. The range of products in this series that cover power range of 50 to 150 watts and have outputs of 12 and 24V. They accept universal input voltage from 85-264Vac and have a wide operating temperature range from -30°C to 70°C. 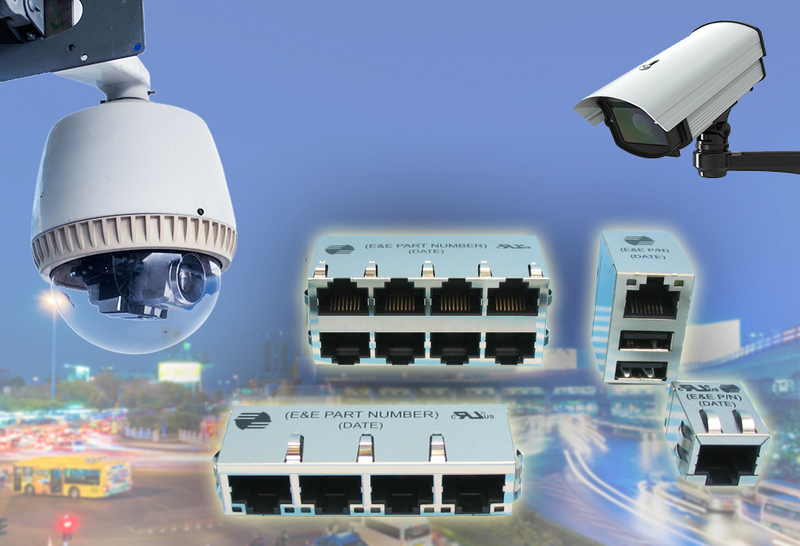 Low Cost UL Rated, RJ45 connectors with integrated magnetics ideal for CCTV and Security applications. Available from Luso are a wide range of right angle and vertical mount RJ45 connectors with integrated magnetics from Elec & Eltek (E&E), a leading manufacturer of magnetic components. E&E’s new series of compact, low cost and high quality Magnetic Integrated Connectors (MICs) are available in Power over Ethernet (PoE) and higher power PoE Plus (PoE+) versions delivering Fast Ethernet (10/100) and Gigabit Ethernet capability. The L4A series of low power AC/DC universal input modules (90-264V AC) are available in 4 families, ranging from 1W to 10W. Offering fixed output voltages of 3.3V, 5V, 12V or 24V they are packaged in an encapsulated case and offer high efficiencies of around 80%. Being suitable for many industrial control applications, these units are ideal for low power applications where a DC voltage is required from an AC source such as smart home applications, powering sensors or door entry systems. 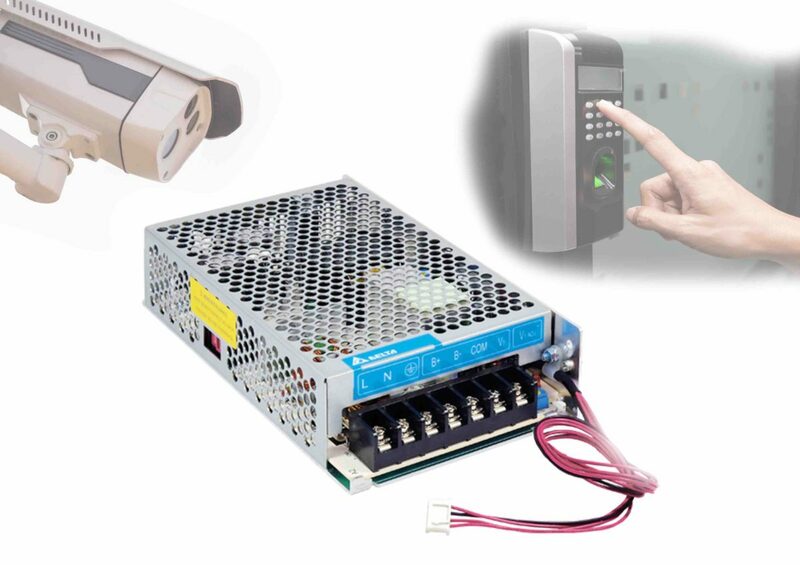 Delta Electronics’ family of AC/DC panel mount power supplies with integrated uninterruptible power supply (UPS) DC voltage areparticularly suitable for security applications such as CCTV, alarm systems, access control and automatic doors where operation is usually required at all times.